Happy St Patrick’s Day everyone! In honour of the occasion I have decided to post a green recipe. 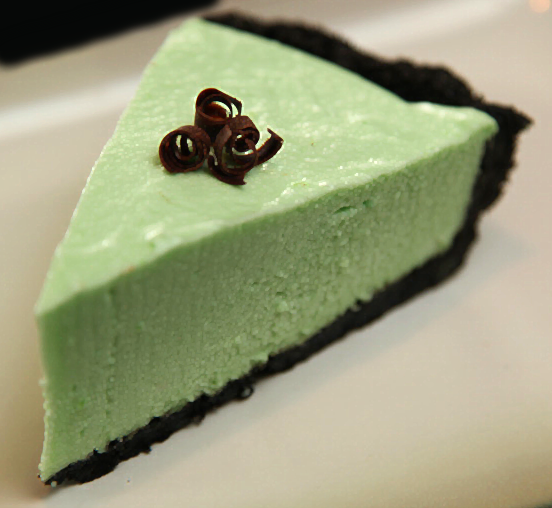 I sadly lack good taste when it comes to my food and drink and love horrendously fake hues (I have a real thing for blue cocktails) and so this pie is right up my alley 🙂 I also love the classic combination of mint and chocolate so this dessert hits all the right notes for me. I choose to use marshmallows instead of gelatine in this recipe as I find it makes it faster to make and less fiddly – although it does take a while for it to set. I tend to serve mine with a little bit of whipped cream and some chocolate curls. Preheat oven to 180°C. In a food processor process oreos until they resemble large crumbs. Mix in butter and then pat into the bottom and sides of a 25cm pie dish. Bake for 5-10mins, remove from oven and cool completely. Once cooled, place into the freezer to chill. In a saucepan melt marshmallows in the milk over a medium heat. 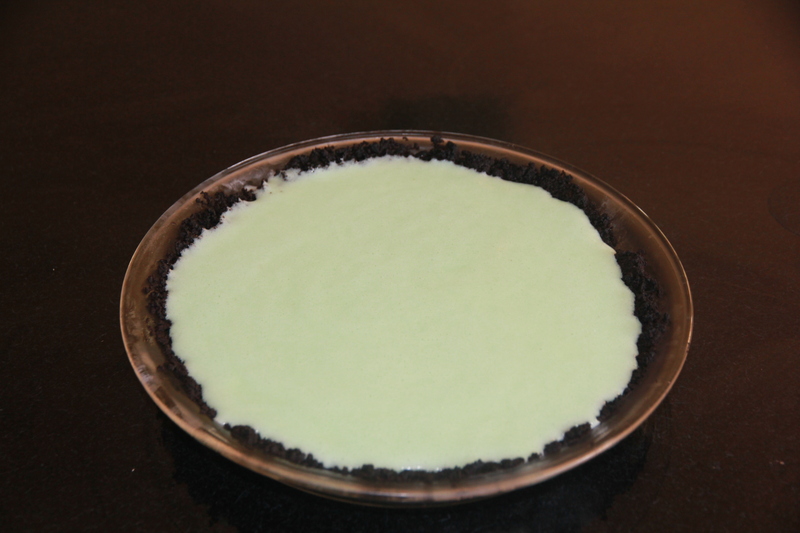 Remove from the heat and add creme de menthe and creme de cacao. Mix well. Add food colouring and then fold in whipped cream. Pour into chilled pie shell and freeze for 3-4 hours.